Biography of Scottish Portrait Painter. 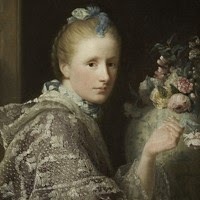 One of the best portrait artists of his day, the Scottish painter Allan Ramsay was active in London where he was considered the outstanding portraitist during the period 1740-1755, being superceded only by the English master Joshua Reynolds (1723-92) during the late 1750s. Ramsay had a far more elegant and sophisticated style of portrait art than his other rivals, and was favoured by the British Royal Family, who in 1767 appointed him Official Painter to King George III in preference to Reynolds. A significant contributor to English figurative painting of the 18th century, Ramsay was a particular expert in drawing, and relied heavily on preparatory chalk drawings for his portraits. The National Gallery of Scotland has a large and varied collection of his work. Ramsay, a major portraitist of the 18th century, learned figure drawing and figure painting at the Academy of St Luke in his native city of Edinburgh, before studying with the Swedish-born portrait-painter Hans Hysing (1678-1753) in London in 1734. He spent the years 1736-38 in Rome and Naples with Francesco Fernandi (16791740) (the master of Pompeo Batoni), and Francesco Solimena (1657-1747), one of the top artists of the Neapolitan School of Painting of the early 18th century. Portraits of this period, such as "Samuel Torriano" (1738) and "Francis, 2nd Duke of Buccleuch" (1739), show Ramsay's characteristic grace, even at this early date. By 1739 he had settled in London, although he made fairly frequent visits to Scotland. Thomas Hudson (1701-79) the English artist was his main rival in the field of portraiture, and in 1746 Ramsay made a gift of the full-length "Dr Mead" to the Foundling Hospital, following Hudson's example. The picture was painted in the 'grand style' typical of many of Ramsay's early works, in which he posed his sitters in a classical manner. For example, "Norman, 22nd Chief of Macleod" (1748) is reminiscent of the Greek statue known as Apollo Belvedere. In his portrait of the "7th Earl of Wemyss and his Wife" (c.1746) the two heads were painted on separate canvases and inserted into a larger one, which points to the fact that, like Hudson, Ramsay was then making constant use of the services of specialist artists like the Flemish drapery/costume painter Joseph Van Aken (1699-1749). He also had recourse to sensitive and highly accomplished drawings, particularly of costumes and hands. In the early 1750s Ramsay showed increasing interest in landscape settings, as in "William, 17th Earl of Sutherland" (1753), and also in strong characterization. Ramsay soon found himself competing with Joshua Reynolds who returned from Italy in 1753, but Ramsay was clearly sufficiently well established in London to feel able to make a second trip to Rome in 1754, where he drew at the French Academy and made studies of frescoes by Domenichino (1581-1641) of the Bolognese School at the Church of S. Luigi dei Francesi. Among the greatest portrait paintings by Ramsay, and possibly his finest masterpiece, is the "Portrait of the Artist's Wife" (1758, National Portrait Gallery of Scotland, Edinburgh). This picture of Ramsay's second wife is painted with great intimacy, and shows, in its delicacy, the influence of French painting of the 18th century. On his return from Italy, Ramsay was as successful as before. The years 1754 to 1766 were marked by his greatest achievements in full-length portraiture, which were largely due to "George III as Prince of Wales". The painting re-established the elegant court tradition of Anthony Van Dyck (1599-1641) and so pleased the Prince that, when he came to the throne in 1760, Ramsay was appointed Painter-in-Ordinary to the King, in preference to Reynolds. This was regarded as the highest possible honour for an artist. He painted the King and Queen in coronation robes - a picture that was frequently copied by Ramsay's assistants - but the finest portrait of the period is "John Stuart, 3rd Earl of Bute" (1758), painted a few years earlier. It is refined and elegantly posed, as is the more arrogant, but equally distinguished, portrait of "Lady Mary Coke" (1762). Note: For another important portrait painter of the day, see also: Thomas Gainsborough (1727-88). For an important though younger Scottish portraitist, see: Henry Raeburn (1756-1823). In 1766 Ramsay painted a portrait of "Jean-Jacques Rousseau" (National Gallery of Scotland, Edinburgh) and a second one of "David Hume" (Scottish National Portrait Gallery) which are remarkable for their incisive sense of character. After that year his interest in painting appears to have waned, and he never exhibited at the London Royal Academy of Fine Arts, which was founded in 1768. Note: For other portrait painters of the day, see also: Rococo & Neoclassical Portraits (c.1760-1850). 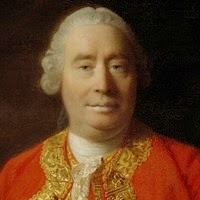 Portrait paintings by Allan Ramsay are held in the collections of some of the best art museums in Europe. For more about movements and styles of painting in Scotland, please see: Scottish Colourists (c.1904-30).  For biographies of other Scottish artists, see: Famous Painters.  For more details of painting, see: Homepage.